One of the newest workout crazes that has come about in recent years are kettlebells, and the praise is well deserved. These tools (which look like cannonballs with handles) are fantastic for getting a strenuous and vicious full body workout in a fraction of the time most machines would take. They can be intimidating to start with, so this article will go through four great kettlebell exercises and workouts you can do, even as a beginner (Just make sure you don’t go too heavy). This is a standard in almost every kettlebell workout program out there. This is because it promotes not only a full body exercise that comes from swinging the kettlebell, but also because of the fact that is not only a strength movement, it also can help with cardiovascular strength and endurance as well. As with all of these exercises, proper form should always be used to prevent injury and making sure you get the most out of these exercises. While this may just look like a simple press of the kettlebell over your shoulder, thus working the muscles in the shoulder, it is actually much more than that. This is because (like basically all kettlebell workouts) you utilize your entire body to maximise your strength and pressing power. And while this press is tough, it is actually easier than using a barbell. 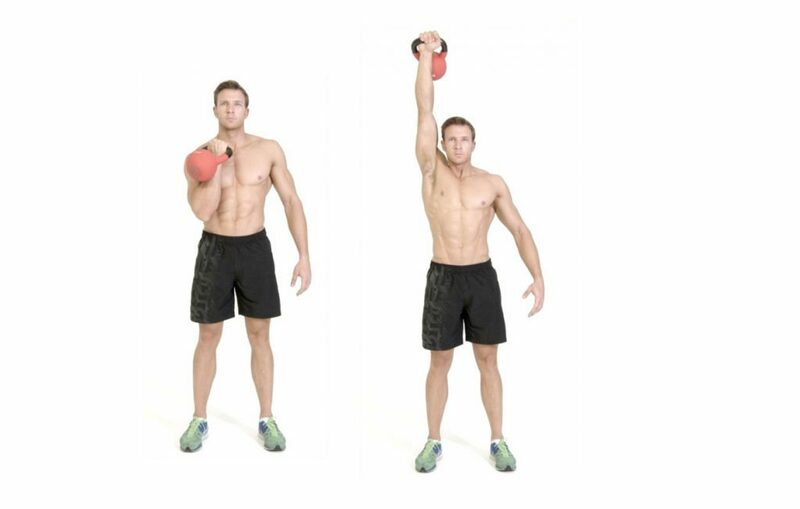 These are without a doubt one of my favorite kettlebell workouts and also one of the toughest to do. It is a slow and deliberate exercise that is meant to help with functional strength in every day life. It teaches you to move fluidly and helps your whole body work together and can help in various other kettlebell (and other) exercises as well. While the exercise simply involves getting up from a laying down positon while holding the kettlebell, it is much more difficult than it looks. Squatting is one of the best exercises out there, so of course there is a kettlebell equivalent. However, this goblet squat isn’t just a leg exercise, it is an exercise that offers another full body work out, improved conditioning and also helps with functional strength. 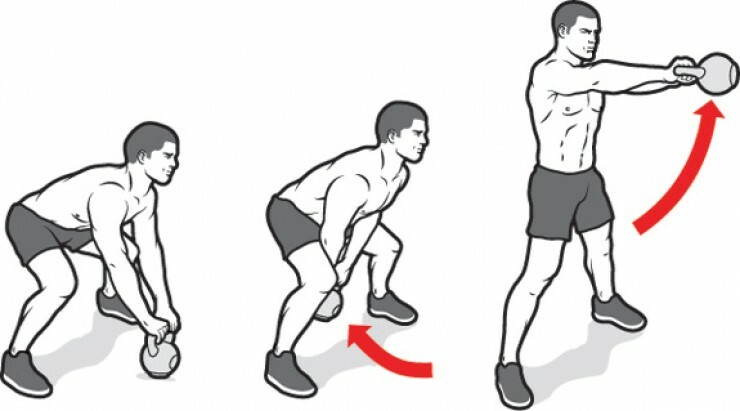 This is one of the easiest kettlebell exercises to learn, perform and master as it is just a simple squat, so it is an ideal place to start as you begin your foray into working out with kettlebells.